Do I get my meat back? YES! - We pride ourselves on this principle. We process one animal at a time. happy to show you our process. What is the difference between fresh, smoked, and stuffed only sausage? Fresh Sausage--is like ground meat. It is NOT in a casing. Smoked Sausage--is fresh sausage in a casing(links) which has been smoked. Why are casings tough on sausage sometimes? First, this is a natural product therefore there will be variations from animal to animal. of the casing. The drier the product is the tougher the casing tends to be. How long can I leave my meat with you before picking it up? space and turnover is crucial to receiving more meat the following week. Do you have sausage without MSG? Yes, we have a seasoning with no MSG. Why is jalapeno and cheese sausage hotter sometimes than others? How long will smoked sausage last in cooler/ freezer? How long does meat last in freezer paper? 1 year -- but I have seen some last longer. What is best mixture ratio for sausage? Is smoked sausage fully cooked? Do I have to dress animal out? 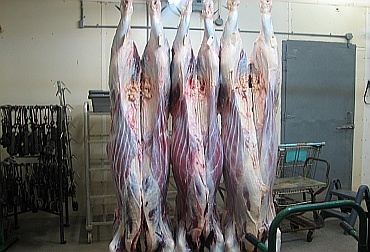 Deer and Wild Pigs have to be skinned, gutted, and quartered up before delivery. No hair, dirt or any other foreign material should be visible on meat. Do I leave my ice chest? No - we have pans for your use when you arrive. We currently only ship non-perishable items.